I am sure every audiophile encounters a number of watershed moments or events in their Hi-Fi journey. These are times when the audiophile’s belief is given a big jolt, and his/her audio related perceptions, concept, and/or knowledge take a leap forward. These moments can come from a fortuitous listening session with an extraordinarily well performing system, a particularly fruitful discussion/debate on Hi-Fi, or, more commonly, the encounter with a piece of outstanding Hi-Fi hardware. For the Hi-Fi hardware bit, I have my fair share of such experiences – such as the time when I was frustrated with the my system and then chanced upon a pre-power amplifier pair in the form of the Pass Labs Aleph L and 3, the little duo absolutely soothed my musical nerves and brought so much joy to my music listening, day after day. They taught me about well-designed simplicity and that class A operation was my thing; then there was the time about 10 years ago (has it really been that long?!) 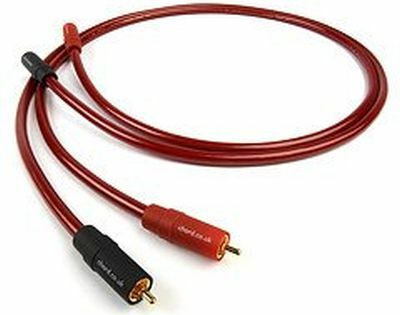 when I inserted the Siltech Royal Signature G6 Forbes Lake SATT interconnects into my system for a review, whereupon they immediately and absolutely educated me as to the transformative power of high-end cables to a system’s performance, albeit at a cost. In recent years, it was my encounter with TAD, firstly in the form of the TAD-D600 CD/SACD player, which proved to me so conclusively that digital, and specifically the CD medium, is a fabulous music carrier and capable of giving the listeners oodles of musical enjoyment and thrills, and despite its “barely enough” bit depth and sampling rate, contains a wealth of information, just depending on whether our hardware can fully dig it up or not. 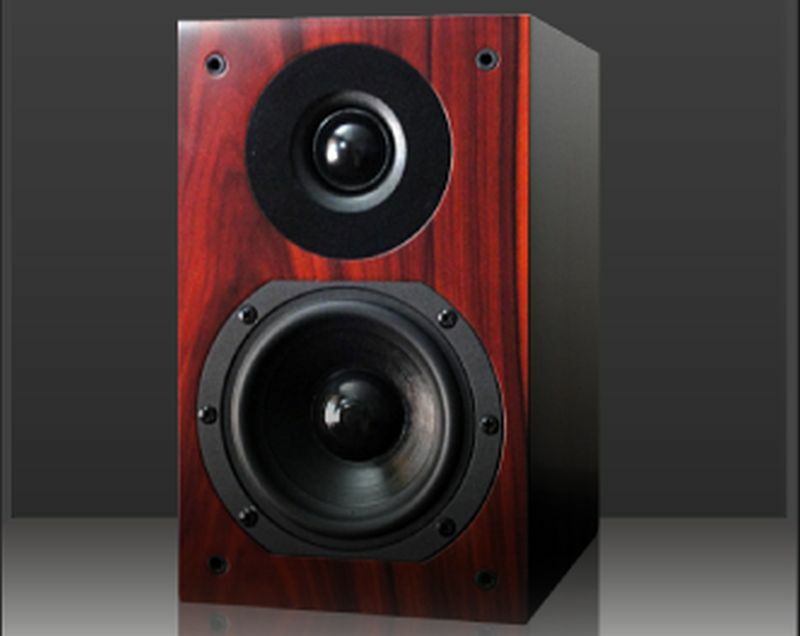 Then it was the TAD-CR1 loudspeakers, which showed that accuracy, precision and faithfulness to the signals are characteristics vital to conveying the musical message that the artists had painstakingly put into their performances, and being able to unfold that event as authentically as possible would bring much enjoyment and even awe to our listening enjoyment. 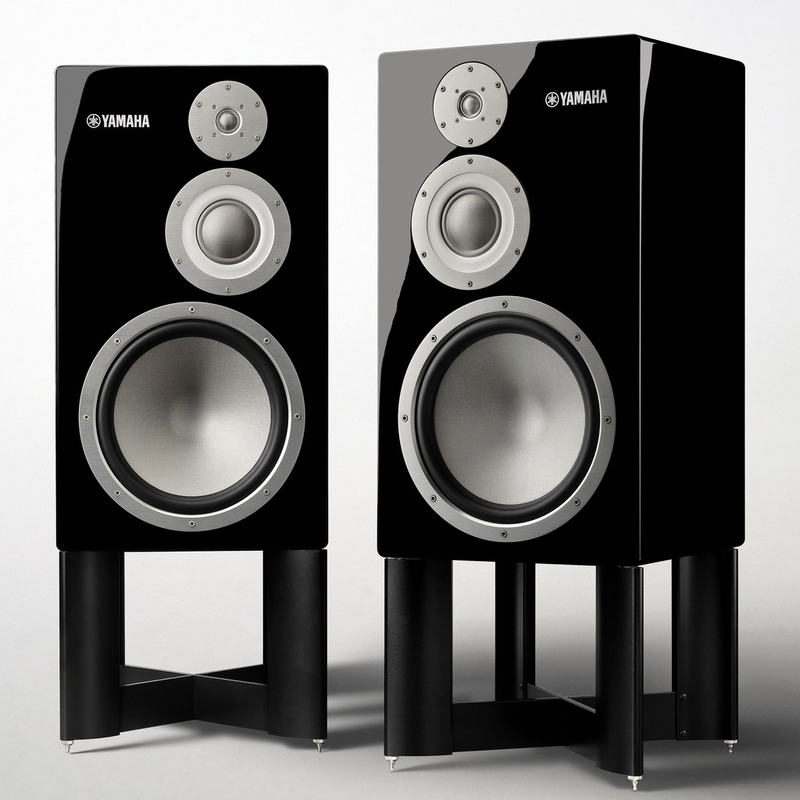 Then came the Yamaha NS-5000 loudspeakers. I had no experience with the NS-5000’s illustrious predecessors. However, my first encounters with them left me with the impression that I’d love their design and their performance. They proved me right when they came to reside in my system. The NS-5000 is Japanese, like the TAD-CR1. I am not suggesting that they sound the same, but I thought I could recognize similar design philosophy and technical excellence in both. 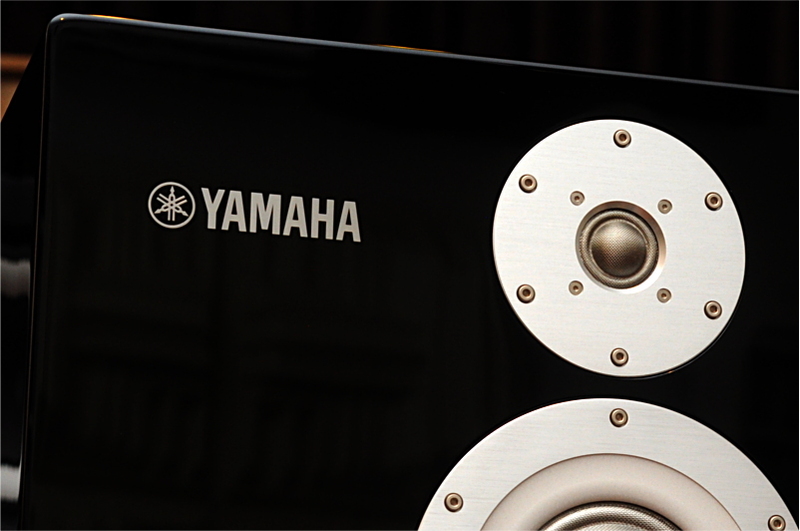 Through my listening session, I identify the Yamaha as a design that has true high fidelity as its goal. “What?” some of you might think, “Does this mean that the Yamaha sounds Hi-Fi-ish, like, cold, thin, sharp etc. ?” Well no, I just happen to think that that is a mis-use of the term Hi-Fi sound. To me, it is a good phrase, it signifies faithfulness to the signal, which is what I want to achieve in this hobby of ours. I don’t like colouration, distortion or any overt alteration to the musical signal. I want to avoid them as much as possible, so that, correspondingly, I can get as close as possible to hearing what was performed and recorded. The Yamaha is simply superb in this regard. The NS-5000 has very little obvious sound of its own, instead, its design brief seems to be to convey the music as recorded and as it should be presented, which include the life, the emotion, the verve, and in some cases also the grunge, embedded in each recording. On top of this, the NS-5000 is also great with the minutiae, the atmosphere and the air are also excellently resolved to convey the space in which the musical event resides. As such, listening to the NS-5000 gave an uncannily real experience on many occasions. I felt that I had the privilege to listen into the artists’ performances as at the time when they were playing their pieces. The NS-5000 has a wide frequency response, high dynamic range and high loudness capability. It is able to go very loud, way beyond my normal listening level and my ears’ tolerance, yet it continues to sound clean and in control. The spec says the NS-5000 can take max 600w of input, I have no reason to doubt it. When the NS-5000 is challenged to go loud and dynamic, it does it with little fuss. It is kind of like riding in a high powered German sedan like a BMW 7-Series or an Audi A8, explosive when called for, but keeps its demeanour and poise always. It is exhilarating with big scale classical and big band jazz. It is slightly less edgy with hard rock than I’d like, but they won’t make your ears bleed either. Of course, a piece of equipment that has a wide performance envelope such as the NS-5000 would expose any inadequacy in its operating environment. 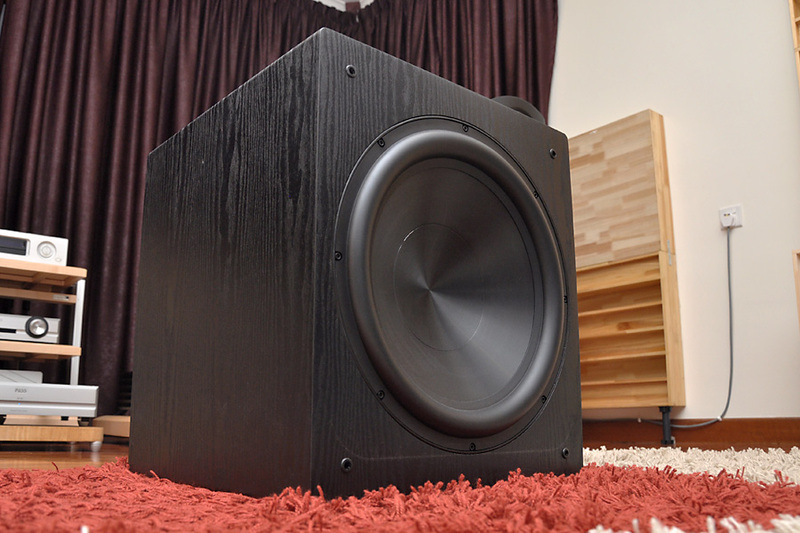 So it was in my system, while the mid and high quickly established themselves to be world beaters, the bass region did not fit into my room so easily. The reason was the greater extension from the 10″ bass drivers of the NS-5000 which was producing bass notes down to the mid 20hz region, which my room was never called to support previously. Bass boom muddied the bass notes from double bass, bass guitar and kick drum. I was forced to work further on my room treatment, and once the issue was resolved, the NS-5000 emerged as a true champion. It showed a seamless integration and a consistent tonality from top to bottom, which I believe must have been the result of the use of one same material – ZYLON, for all the 3 drivers. The frequency extension was impressive at the bottom end, its depth and volume conveyed majesty and heft, such that when I played Bach’s organ pieces, the NS-5000 tracked the notes as they went down the scale, cleanly and unfazed. When I moved on to Stevie Ray Vaughan’s “Tin Pan Alley (aka Toughest Place in Town)”, my go-to track for high dynamics, impact and attack, his performance was conveyed with one of the best treatment there was. The NS-5000’s dynamics prowess and its lightning fast attack gave a thrilling and lifelike performance. On top of all the frazzle-dazzle was Stevie’s raspy vocal, presented with clear diction, tying the whole thing up into a formidable listening experience. Classical pieces were impressively played too. Eugen Jochum’s version of Carmina Burana brought me through an emotional roller-coaster. The sweetness in soprano Jundula Janowitz’s voice in “in Trutina” was heart-melting, whereas the force and power of the full orchestra in “O Fortuna” that came at the end was ominous and apocalyptic. I also heard one of the best rendition of violin via the NS-5000. Many times violin recordings, especially on digital, could sound jangly, hard and harsh. Not so here. The NS-5000s high was just a bit sweet and has a high level of refinement. Itzhak Perlman’s weeping violin in the “Schindler’s List” OST was beautiful and haunting at the same time. While the woodiness of the violin tone was superbly portrayed, on the other hand I could ask for just a little more sparkle at the top, but that is in nit-picking territory already. Lastly, I must of course touch on its performance on vocal. Natural and lifelike are the words for it. Eva Cassidy’s rendition of “Tall Tree in Georgia” in her “Live at Blues Alley” album was transported into my room, a result of the illusion created by the expansive sound-stage and sharp imaging from the NS-5000. Eva’s vocal floated within the ambiance of the place, and the interactions from the audience completed the entire concert experience. The NS-5000 is an absolutely impressive outing from Yamaha, and especially so at this price point. Please find an opportunity to listen to them. I see an instant classic in the making. Highly recommended. 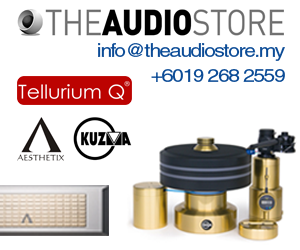 Contact: Victor Pheh, Hifi Creations (012-2962799). 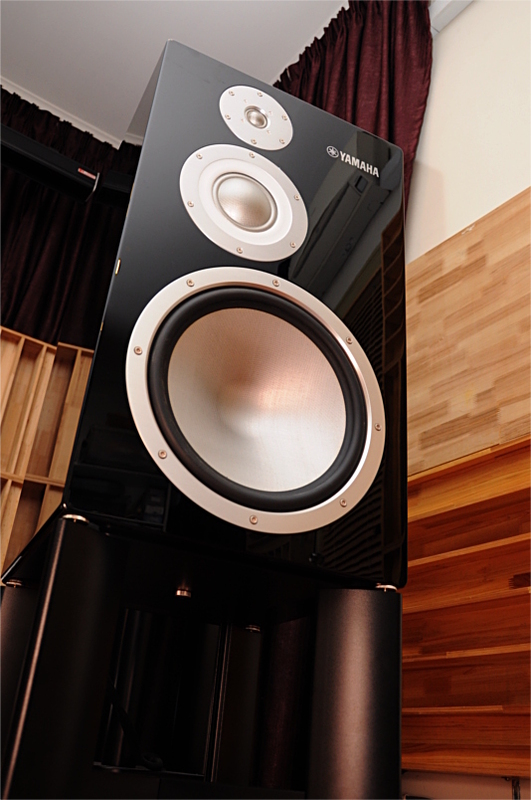 The Yamaha NS-5000 lists for RM65,000/pair.